Building traffic to a new website can be a concern for anyone not familiar with the online world of marketing. This article aims to inform the reader of key factors that will improve a websites ranking in major search engines, which in turn creates more traffic. Through the use of local search, using specific phrases on a website, and building internal and external links, one can build the reputation of their website with the major search engines. Doing this raises the probability that targeted audience will find a specific website through a search engine such as Google.com. Utilizing local search, specific phrases, and building internal and external links will build traffic to any given website when done correctly. By now, if you have a website you should know about the benefits of SEO. 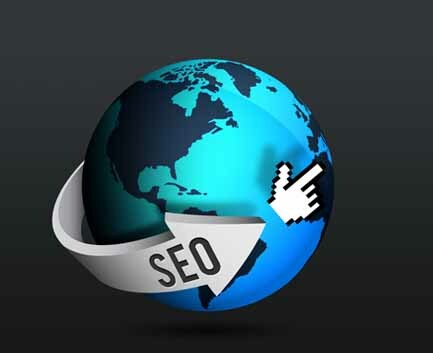 If you don’t, SEO, or search engine optimization can best be described as the ongoing process of building a good reputation with the major search engines, thus, raising the probability that a targeted audience will visit a website when a search for specific, relevant keywords is entered into a search engine’s search bar. The success of an SEO campaign relies on a multitude of things that search engines use to judge and rank a website. It also varies on the competition for keywords a website is up against with other websites competing for the same keywords. A new start-up website would have a difficult time competing against a website who has been performing well in the search ranks for a long period of time. This article will explain how to build traffic to your first website using SEO for local search, specific phrases, and building internal and external links. Local search is ideal for locally operated businesses and organizations. If you haven’t already, make sure to sign up with a Google Places listing. This is a must have for local search. 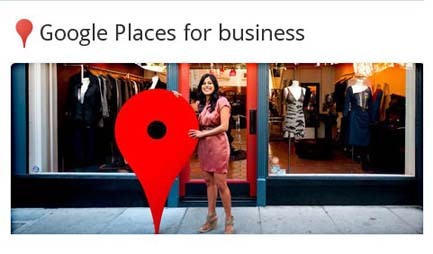 Through local search, a company, for example, can target customers locally. The company would do this by mentioning the city of their operations throughout their website. There are three main areas that a city should be mentioned in. One: the title of the website which appears at the top of the browser application. Two: the main heading of the website. The main heading is defined as the biggest text (or h1 tag if you’re a web master) that usually appears at the top of a web page. Three: the body of the website. The name of the city should be mentioned in the first sentence of the textual content of the website, as well as the last sentence, and about two to three times throughout the body of the text. The landing page should contain between 250-500 words in order to be significantly placed in locally targeted search engine results. Local search is key to any local business or organization looking to gain visitors in their area. Using specific phrases in a website can mean the difference of a targeted audience visiting a website and visiting the websites of the competition. Using the Google Keyword Tool, you can find out exactly where the high competition is for specific phrases, and where you can capitalize where the low competition is. Often times you can re-word a search term and find that a target audience is using a completely different search phrase than what you thought they would be using. A good example of this is the search for real estate. The search term ‘new homes in minneapolis’ is highly competitive with only 1,000 searches per month. However, the search phrase ‘house in minnesota’ has very low competition with a high search volume of over 22,000 searches per month. So by using the phrase ‘house in minnesota’ on a website, may theoretically capture the attention of a potential of 22,000 people who search that phrase every month who could become new visitors, leads and sales. Using these specific phrases in bold, italics, or underline will increase the weight search engines associate them to a website. Also having them as the heading of the website will add even more weight to the association of the specific phrase and the website. Finding new, specific phrases with low competition and high search volume could mean the difference between visitors coming to your website, or the competition’s website. Building internal and external links is an important aspect of SEO and should be implemented by anyone wishing to build a successful SEO campaign. There is a general rule of thumb for internal linking: any web page should be accessible within three clicks. This is what is known as usability. Usability is best defined as how easy the website is to use for a person visiting, and a huge indicator of a successful SEO campaign versus an unsuccessful campaign. An easy way to do this is by linking every page to the home page and the site map. Site maps are generally found at the bottom of the page, while a link to the home page is usually found in the main navigation bar. 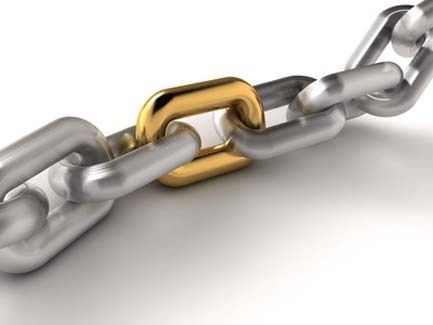 Gaining external links are also another important factor of building a good reputation with the search engines. External links tell a search engine that one website was relevant and good enough to be featured on another website, and therefore good enough to be listed in a search engine result for specific keywords. Getting external links can be a tedious process. When asking for an external link, ask for descriptive anchored links that pertain to the relevancy of the website being linked to. One effective strategy that can be coupled with local search is by asking for links from local newspapers. Local newspapers mention the cities of their operation throughout the website and are already authoritative according to search engines. Getting a link from a local newspaper will associate the name of the city to the website being linked to. Building internal and external links are important for an SEO campaign because it lets search engines know that each web page is relevant to the web page it is being linked from, which in turn is relevant to a person searching a specific phrase, or keyword. Having a successful search engine optimization strategy in place is key to attracting new visitors, leads, and customers from search engines such as Google, Yahoo!, and Bing. The important factors of building a great reputation with the major search engines are utilizing local search strategies, using specific phrases that potential visitors use to look up relevant websites, and building internal and external links. Search engine optimization is a great online marketing strategy, and one that will keep a constant flow of new visitors coming to a given website. Great information every website. I agree, SEO is very important. Really nice to improve web traffic, thanks for sharing with us. 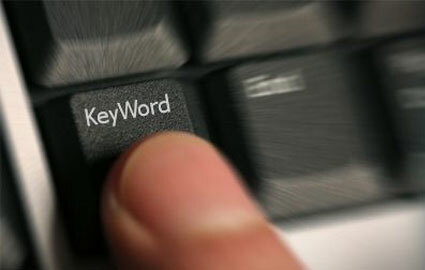 Excellent information however remember, Meta Keywords and Keywords have little to benefit towards your website rank. The tag was abused by spammers and black hat seo users so Google updated it’s ranking system to also take into account structure, content, in-site linking and general popularity amongst other website values. i am a php developer. this information is very useful for me to create a such a wonderful site,your article is very informatics and resourceful for lots of users,Thanks a lot for sharing. Wonderful content – not only for beginners. That would have costed a lot of time otherwise. Thanks.